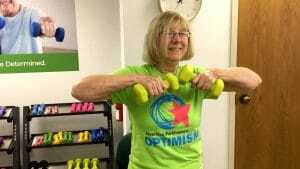 There is no cure for Parkinson’s disease, but this program introduces viewers to people with Parkinson’s disease (PwPs) who are employing their own power and finding their own solutions. 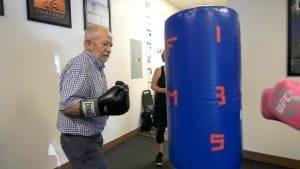 They are sharing their message of exercise with PwPs across the country — with a focus on the idea that exercise (in particular, boxing and tango dancing) can delay the symptoms of Parkinson’s disease. From former NBA star Brian Grant heading up a foundation to train trainers to work with PwPs; to a researcher at Washington University charting the improvement in her Parkinson’s patients who dance the tango; to a physical-education teacher initiating a “movement movement” with hundreds of other PwPs, this 30-minute program shares powerful and positive portraits of patients and doctors who are focused on exercise research to improve the lives of people living with Parkinson’s.